"Rear end collisions at speeds as slow as 5 mph have been shown to cause soft tissue injuries to the neck"
It is not the responsibility of the insurance company to pay for anything more than that. They are not responsibile for pre-existing injuries; only the injuries sustained from the accident. Even if you are just sore, you should get checked out immediately because you may experience pain, numbness, headaches, muscle stiffness, fatigue, and other problems including arthritis many months down the road. Remember, nothing is more important than your health, especially when you start to lose it. Here's where the problem begins... Most people who suffer from an auto accident have one thing on their mind: their automobile! "Who is going to fix my car?" "What will I drive in the mean time?" "Will my insurance rates go up?" "Who is going to pay for it?" And the last thing on their mind is:"Am I Really O.K.?" "Up to 40 percent of people with whiplash have symptoms that last for years, and some never recover.... British Medical Journal-1994"
If you have been in an auto accident, you need a doctor who is trained in the biomechanics of the human body; someone who treats these injuries every day.In addition,x-rays can be taken to find out if there has been any structural damage. In our office, we evaluate auto accident victims and make any appropriate referrals to other health care providers if needed. Our primary responsibility is giving you the care if you need It,and submitting the required medical reports to the insurance companyso your rights are protected. If we can't help you, we will refer you to a doctor or facility that can. A: Documented studies done by Charles Carroll, M.D., Paul McAtee, M.D. and Lee Riley, M.D. revealed that: "The amount of damage to the automobile bears little relation to the force applied to the cervical spine (neck) of the occupants." A: No, only in very rare circumstances does the patient pay for his care as he goes. Our office provides care "on credit" when patients are represented by an attorney. Some car insurance policies have what is called "Med Pay." This means that medical bills will be paid at 100% up to a certain limit. My office can assist you in obtaining this information. Using your medical coverage should not raise your premiums. Q: The Insurance Company Has Been Calling Me And Wants To Settle,What Should I Do? Q: I've Been To The Hospital And My Medical Doctor, Do I Really Need to See a Chiropractor? A: You need a doctor who focuses in the treatment and diagnosis of auto accident injuries. Usually hospitals will check vital signs, make sure there are no life-threatening conditions and release the patient with pain relief medication. They normally do not treat the underlying improper musculoskeletal biomechanics that can and often do lead to future pain. If you are still having problems, you should get a second opinion. 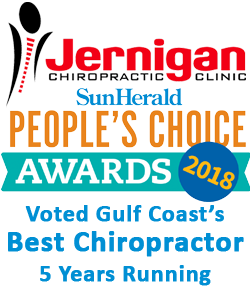 We are located at 229 Debuys Road in Gulfport, Just north of the Sun Herald and WLOX.